For weddings or glam occasions we have the most beautiful crystal & pearl vintage inspired statement necklace to dress you up in a classic & glamourous style. The epitome of Old Hollywood glamour, our Timeless Romance Necklace will unleash your inner 40s Starlet. 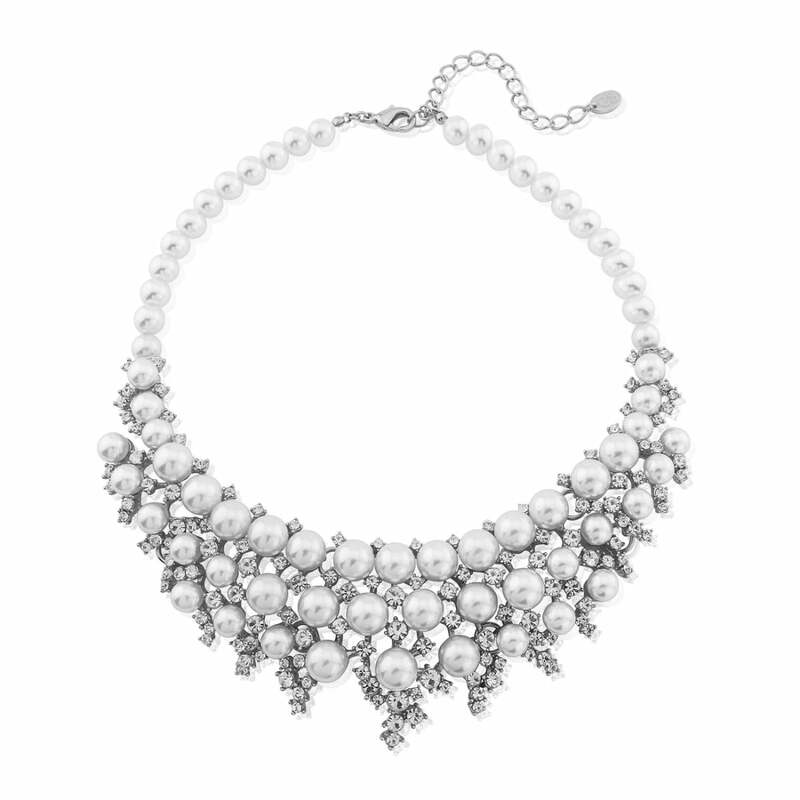 Featuring light ivory faux pearls and shimmering Austrian crystals on a silver tone base, this stunning will add head-turning style for every special occasion. Go for iconic Silver Screen style and wear this statement necklace with a stunning evening gown for a glitzy event or team with a chic little dress for a cocktail party. Simply coordinate with a pair of dainty sparkling stud earrings to enhance the crystal accents scattered through this fabulous design. A beautiful bridal necklace to add classic vintage style, Timeless Romance will add the perfect finishing touch to so many styles of wedding gowns. Whether adding a touch of drama to a simple and chic shift, adorning a ballerina dress with graceful elegance or emphasising the classic feel of a lace gown, it's sure to become your go-to occasion piece beyond the special day too.